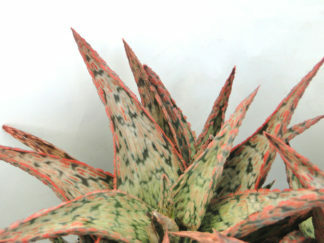 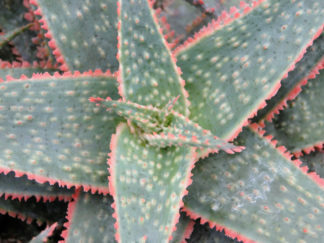 Technically an aloe-haworthia crossbreed, it is also known as Aloe pentagona and Alworthia pentagona. 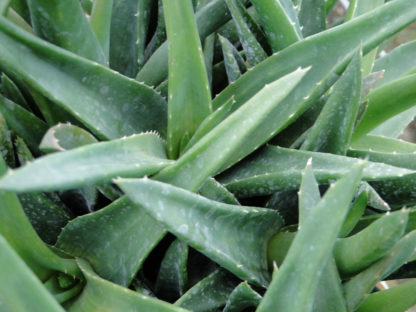 This aloe has thick fleshy leaves with few and very dull teeth. 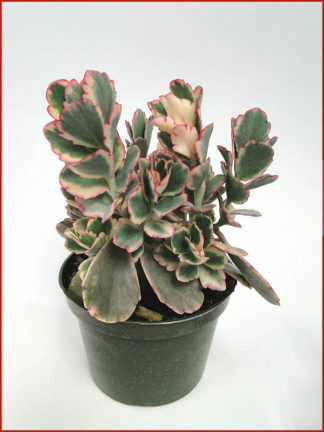 It readily offsets to form a cluster of thick dark-green. 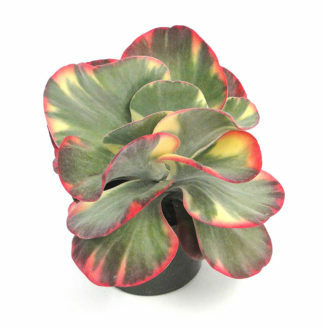 When running on the dry side, the leaves will take on a dark bronze-black color. 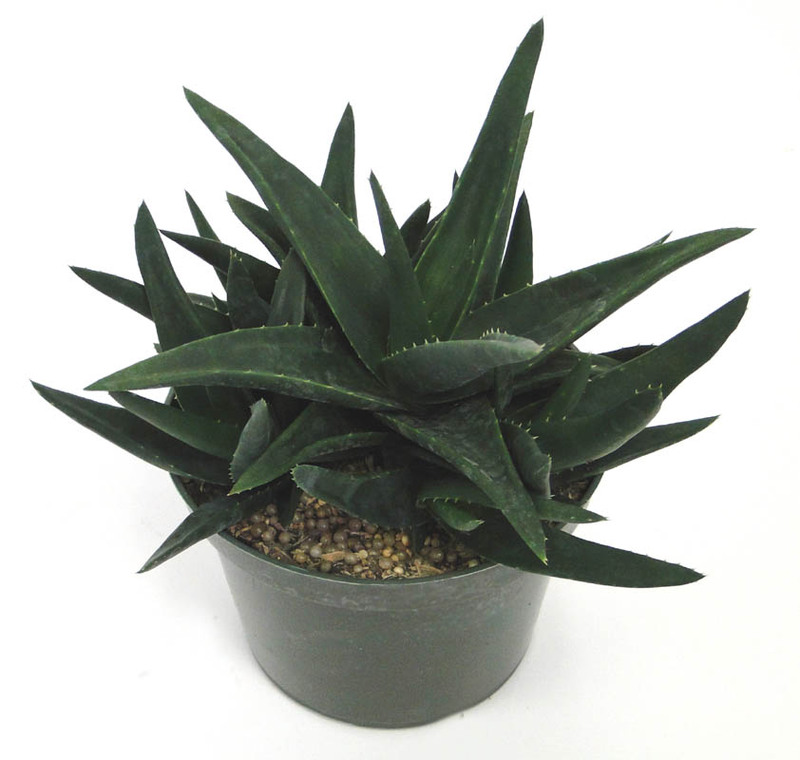 Excellent as a “filler” in succulent gardens and bowls.